JOPLIN, Mo. – January 30, 2018 – ZAF Energy Systems Inc. (ZAF), a developer of next-generation battery technology, announced today it is a charter member of the Zinc Battery Sub-Committee formed by the National Alliance for Advanced Transportation Batteries (NAATBatt). The Committee will raise awareness of and create collaborative alliances between zinc-based battery manufacturers and their supply chains. Zinc will play a critical role in the future growth of energy storage, and NAATBatt’s Zinc Committee will provide the leadership and platform needed to accelerate industry adoption. LONDON, UK., Jan. 30, 2018—Synopsys, Inc. (Nasdaq: SNPS) today announced its Coverity® 2018.01 release, the newest version of its industry-leading static analysis tool, which analyses source code to detect critical quality and security defects early in the software development life cycle. Coverity 2018.01 extends the tool’s support for new programming languages, coding standards, and development tool integrations. January 30, 2018 – HALIFAX, NOVA SCOTIA – Ucore Rare Metals, Inc. (TSXV: UCU) (OTCQX: UURAF) (“Ucore” or the “Company”) is pleased to announce the location selection for its first US Strategic Metals Complex (the “SMC” or the “Plant”). Oulu, Finland, January 31, 2018 – Bittium will exhibit its newest products for tactical communications at Mobile Deployable Communications event in Warsaw, Poland on February 1-2. At the event Bittium will showcase Bittium Tough SDR product family of tactical radios, which includes Bittium Tough SDR Handheld™, tactical handheld radio for individual soldiers, and Bittium Tough SDR Vehicular™, tactical radio for vehicle installations, as well as the versatile Bittium Tough Comnode™ terminal. Also showcased will be the secure and strong 4G LTE smartphone Bittium Tough Mobile™. Geneva, 31 January 2018: Wizz Air Holdings Plc (“Wizz Air” or “the Company”), the largest low-cost airline in Central and Eastern Europe (“CEE”), today issues unaudited results for the three months to 31 December 2017 (“third quarter” or “Q3”) for the Company as a whole, and separately for its airline (“Airline”) and tour operator (“Wizz Tours”) business units. S7 Airlines, oneworld alliance member, has announced its intention to commence seasonal services to Keflavik Airport ‒ becoming the Icelandic gateway’s only regular route to Russia. Beginning on 9 June, the carrier will start a weekly 176-seat, 737-800 service from its Moscow Domodedovo hub. The new connection will mean that Keflavik is connected to 31 countries in S18. 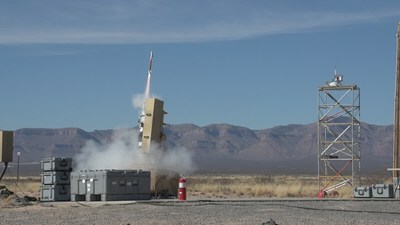 (NYSE: LMT) Miniature Hit-to-Kill (MHTK) missile successfully conducted a controlled flight test to demonstrate the interceptor’s increased agility, and to validate the performance of its airframe and electronics — now common between MHTK’s two configurations to drive affordability. January 30, 2018 — Rolls-Royce Commercial Marine has released more details on an order it received to deliver battery-powered energy systems for six Platform Supply Vessels (PSVs), built by China’s Cosco Guangdong shipyard. Recently SEACOR Marine Holding announced that they have entered a joint venture with China Cosco Shipping Group. The new venture, SEACOSCO, has taken over eight PSVs, which are currently laid up at the shipyard.